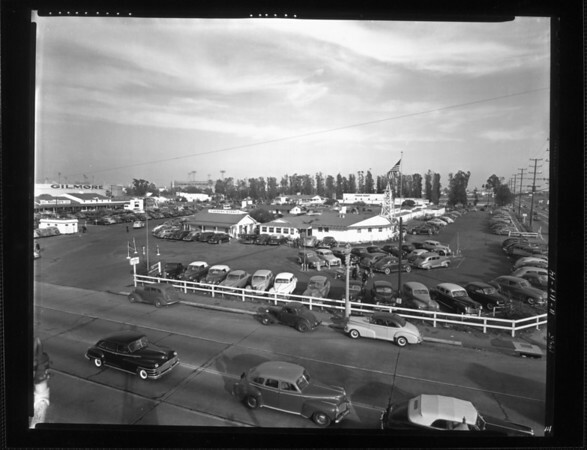 Looking at Farmers Market and its parking lot full of cars from the corner of Third Street and Fairfax Avenue. At left, the Gilmore Stadium can be partly seen. Streetscape. Horizontal photography.